A U.S. Navy F/A-18F Super Hornet jet crashed off the coast of Key West, Florida, on Wednesday, an official told Fox News. 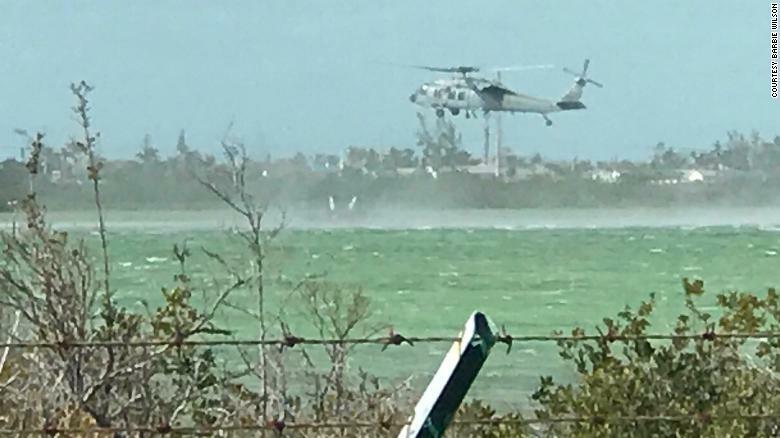 One pilot and one weapons systems officer ejected from the twin-engine jet, which crashed around 4:30 p.m. on final approach to Boca Chica Field at Naval Air Station Key West, the Navy said in a statement. A source told Fox News that the jet was flying back on one engine when it lost the other at low altitude. Cmdr. Dave Hecht, a spokesman for Naval Air Station Key West said the pilot and a weapons system officer on board were able parachute to safety. Hecht said the officers were rescued from the water and taken to Lower Keys Medical Center for treatment. Hecht could not speculate as to the cause of the “mishap,” saying much remains unknown. The Navy will be investigating the incident to determine the cause of the crash. The “Fighting Black Lions” of VFA-213 are assigned to Carrier Air Wing Eight which is currently assigned to the carrier George H.W. Bush. Hecht did not describe the extent of their injuries. “Naval Air Station Key West emergency services are on the scene of an F/A 18 Super Hornet crash that occurred about 4:30 p.m. off of Boca Chica Field. See the attached release from Naval Air Force Atlantic. Barbie Wilson, a local marina owner, witnessed the crash and called 911, local news ABC 10 reported. Both crew members, based out of Naval Air Station Oceana in Virginia Beach, Virginia, were taken to the Lower Keys Medical Center. There was no immediate word on their condition. An F/A-18F Super Hornet from VFA-213 crashed on approach to Boca @NASKeyWest this afternoon at 4:30 p.m. Rescue crews recovered both aviators from the water; they were taken by ambulance to Lower Keys Medical Center. The jet was on a training flight; cause under investigation. A marina owner in the Florida Keys told WPLG that the Hornet jet caught fire mid-air, then crashed. The Navy stated the F/A-18F was conducting a training flight. The Super Hornet is a twin-engine fighter jet that is larger than the single-seat F/A-18 Hornet. BREAKING News Out Of FLORIDA… Holy HELL!